Democrats and Republicans in Congress are split on an “agreement in principle” regarding President Donald Trump’s proposed border wall funding after meeting Monday night as the government is days away from a potential shutdown. The agreement reportedly includes $1.375 billion for physical barriers, which would be bollard, or basically a concrete-filled barrier that protects office buildings and shopping malls across the U.S. It would also limit the number of beds in Immigration and Customs Enforcement detention centers for violent criminal aliens, which Democrats have been using as a bargaining chip. “This is not a CR, this is a funding for the seven bills … We hope [the president will] sign it. He talked to me about it, gave us some latitude. I think we’re — overall — we’ve got a pretty good deal considering who we’re dealing with,” Alabama Sen. Richard Shelby told The Daily Caller News Foundation in the Capitol Tuesday. 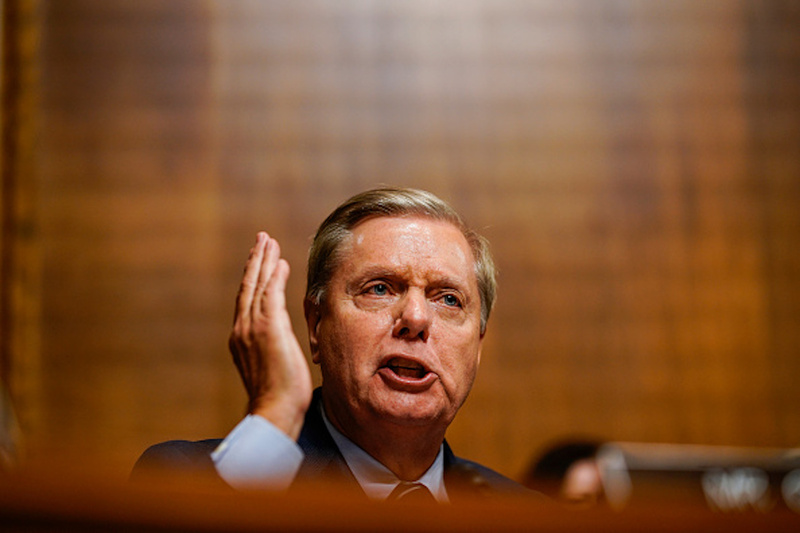 Republican South Carolina Sen. Lindsey Graham had a different message, telling TheDCNF it is likely the president will have to declare a national emergency, as he believes lawmakers will not be able to reach an agreement. “My whole construct was — open up the government and see if you can find a compromise in three weeks. If you don’t, declare an emergency. Do it on your own … That’s probably where we’re headed,” Graham said. Graham said the report of capping ICE bed space for violent criminal aliens was a non-starter for him. He also said he’d be surprised if the preliminary plan would have strong GOP appeal in the Senate. “Well I would be shocked if it did — if there is a reduction in the detention bed space,” Graham responded. However, Democrats seem to believe the agreement in principle is fair and that both parties should agree to it. “For far too long, the Trump administration has been tearing communities apart with its cruel immigration policies. A cap on ICE detention beds will force the Trump administration to prioritize deportation for criminals and people who pose real security threats, not law-abiding immigrants who are contributing to our country,” Homeland Security Subcommittee Chairwoman Lucille Roybal-Allard told TheDCNF. Democratic Vermont Sen. Patrick Leahy echoed a similar message. Democratic West Virginia Sen. Joe Manchin was also confident about the bill passing. He also said he “hope[s]” Trump will sign it. “If not, then we will have to do our job,” he continued. The government is set to shut down Friday, giving Congress just four days to put forward legislation in which Trump would sign to keep a number of government agencies open. If Trump does not agree with lawmakers, he could potentially declare a national emergency, in which lawmakers such as Graham have been pushing for. Republican lawmakers will have to put together a bill that a number of Democrats will also support, or else Trump’s only other option would be lowering his requested $5.7 billion for border security. Paul Ingrassia contributed to this report.